The Ketogenic Diet Vs The Atkins Diet: Is Ketosis Better Than Atkins? Are keto and Atkins the same thing or is one better than the other? The ketogenic diet and the famous Atkin’s Diet of the 1990’s often get lumped into the same conversation as one and the same. But there are definitely differences between the two diets, and the real comparison might surprise you! To truly highlight the differences between each diet, let’s take a look at each individually, including pros and cons, then examine which is better and why. The ketogenic diet was founded back in 1924 by Dr. Russell Wilder at the famous Mayo Clinic. The diet was initially used for treating epilepsy. High fats: 70-80% of daily calories. Adequate protein: 20-25% of daily calories. This focus on dietary fat forces your body to use ketones for energy — special energy molecules made from fat that are cleaner and more efficient than glucose. In the absence of carbohydrates for an extended period of time, your liver converts stored fat into ketones, which can then be processed into ATP, the energy currency of your cells. An elevated level of ketone bodies in the blood leads to a state known as nutritional ketosis, which is the goal of the keto diet. This radical change of fuels — from glucose to ketones — is what makes the keto diet so special and beneficial. The ketogenic diet is different than regular weight loss diets because it changes something fundamental in your body: the fuel your cells run on. On virtually any other diet, your cells use glucose for energy. On keto, ketones replace glucose as the main energy source. This change triggers metabolic flexibility — the ability to switch between fuels (fat or carbs) when needed and use both efficiently. For someone who has never done keto before, losing access to carbs triggers unpleasant side effects like low energy, headaches, and bad mood. Someone who has done keto has an easier time switching between fat and carbs for energy without side effects. For example, a keto-adapted person could go on vacation and enjoy carb-based foods for a few days and then switch back to a state of ketosis in a day or less by cutting carbs, eating fatty foods, and fasting. This metabolic flexibility was common in our hunter-gatherer ancestors, who constantly switched between a state of fasting (where the body runs on ketones) and eating, according to food availability. Being sensitive to insulin is paramount to health. The more sensitive you are, the better your body processes carbs and the easier it is to lose weight. It also prevents insulin resistance, which is a precursor to type II diabetes, obesity, and non-alcoholic fatty liver disease. The keto diet is extremely effective for fat loss because it resets your body’s enzymatic machinery to burn fat for fuel instead of glycogen. This means your cells run on stored fat, so you’ll lose weight faster and easier. Research finds keto is one of the most effective weight loss strategies both in the short-term and long-term. The most dramatic weight loss can be seen in the first few months on the keto diet, which is ideal if you want quick results (and who doesn’t?). Don’t worry about gaining back the weight — keto is not a yo-yo diet. When you lose weight on keto, you actually keep it off. Bodybuilders preparing for competitions, athletes, and casual gym-goers alike opt for the keto diet to get better performance results. Ketone-made ATP releases more total energy than glucose-made ATP [*], so you have more available energy to power through your workout. Because your body is using fat and not glucose, glycogen reserves fill up faster, which boosts recovery. Ketones can improve performance in endurance exercises and boost fat loss during resistance training. Since ketone bodies easily cross the blood-brain barrier, your brain can use them efficiently for energy, leading to sustained mental performance and long-term neurological protection against diseases such as Alzheimer’s,, Parkinson’s, epilepsy, and neurodegeneration[*]. Preserving neurons and synapses — which improves memory, focus, attention, and learning. Improved cognition in people with dementia. Ketosis triggers mechanisms that can help extend your lifespan. One of them is improved gene expression. Ketosis unlocks genes that fight oxidative stress and regulate metabolism, which boosts longevity[*]. The other one is mitochondria protection. In the process of making ketones like BHB, many antioxidants are created in your mitochondria and dangerous oxidants are suppressed, which protects your cells against disease. This means keto triggers a powerful antioxidant effect that simply doesn’t happen when you’re running on glucose. This antioxidant protection is amazing for your brain. Research finds that ketones prevent and reverse oxidative damage in neurons, the hippocampus, and neocortex,[*] effectively preserving cognition and mental sharpness through the years, which severely improves your quality of life. Ketosis is good for your heart. Ketones have antioxidant effects on the lining of your blood vessels, can boost circulation, and improve the efficiency of your heart. Studies found the mechanical efficiency of the heart increased by 30% and blood flow increased by 75% when running on ketones[*][*][*]. It’s especially helpful at fighting and preventing tumors because cancer cells rely on glucose to thrive while ketones impair their growth. The tricky aspects of the ketogenic diet have to do with tracking, food choices, and the initial fat adaptation. At least in the beginning, you have to measure your blood or urine ketone levels daily to make sure you’re in nutritional ketosis (burning ketones for energy). It’s easy to get kicked out of keto if you don’t track your food choices and ketones closely. The most accurate way to measure your ketones is with a blood meter, such as the Precision Xtra Ketone Meter. It will give you the most accurate results, but the strips are expensive and some people have an aversion to drawing blood from their finger. One good alternative are urine ketone strips. They’re more affordable and all you have to do is pee on the strip, no blood needed. Tracking is more important on keto than other diets because you’re literally switching to a different metabolic fuel (ketones) and you won’t get the health benefits if you inadvertently go back to running on glucose. However, as time goes on, you will learn which foods and drinks keep you in a ketogenic state and which kick you out of ketosis. Once you know this and become fat-adapted, eating keto becomes second nature. To reach the right ketone levels, you have to hit specific keto macros. Simply eating a lower carbohydrate diet isn’t enough, as your body needs a specific fat intake (70-80% daily calories) and carb intake (5-10% daily calories), which can prove challenging for beginners, especially those coming off a Standard American Diet (SAD). However, these food choices become easy and intuitive once you’re on keto for a while. A possible side effect soon after starting the ketogenic diet is the keto flu. As your body makes the switch from glucose to fats, you might experience flu-like symptoms including headaches, mental fog, body aches, and low motivation. It doesn’t happen to all people, and when it does it lasts no more than a few weeks. Luckily, there’s a way to avoid the keto flu altogether. You can take exogenous ketones to get in ketosis immediately and bypass the fat-adaptation period. They will act just like body-made ketones and let you reap the benefits of ketosis from day one. If you really want to up your keto game, studies find that mixing exogenous ketones with MCT oil boosts ketone levels even more. Ketones have powerful antioxidant and antiinflammatory effects that fight and prevent disease. Ketones provide more energy than glucose. 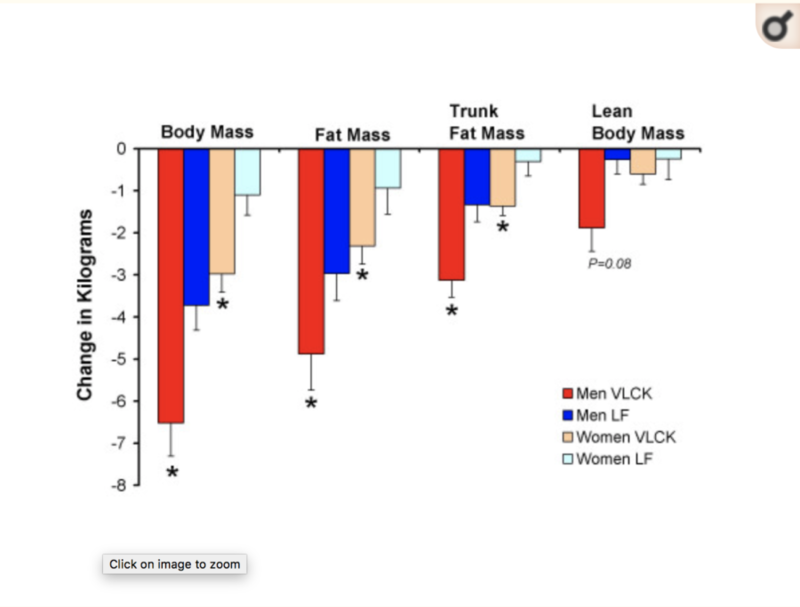 Ketosis leads to efficient fat loss while preserving muscle mass. Ketones improve exercise performance both in endurance and resistance training. Ketones improve mental performance and protect your brain against neurodegeneration. Ketosis can increase your lifespan and quality of life. Ketosis keeps blood sugar under control. The diet becomes more intuitive and easier to follow as you gain more knowledge and confidence. Scientific evidence supporting other benefits of ketosis for therapeutic purposes, performance, and overall health continues to emerge. A low-carb, keto diet can feel somewhat restrictive at first. You have to monitor your food closely, count macros, and measure ketones in the beginning. 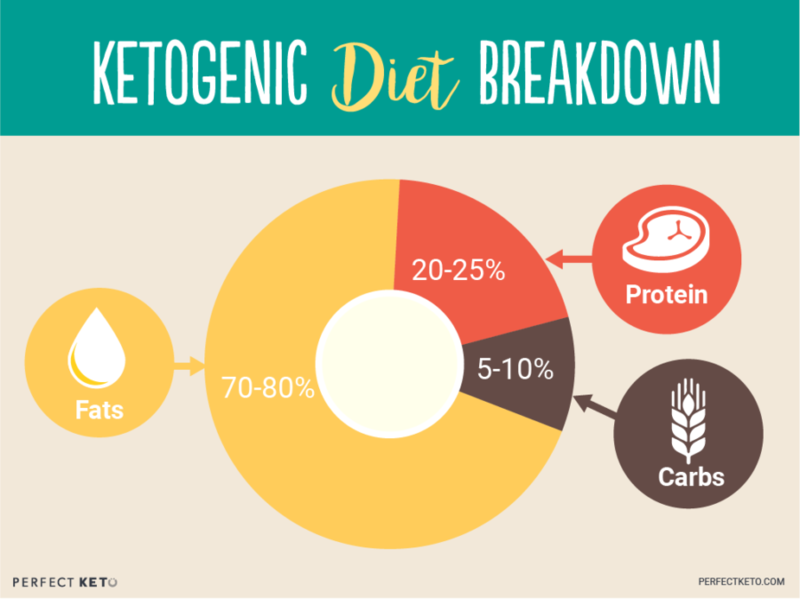 We have more information in these posts: What is the Ketogenic Diet? and What is Ketosis?. Now that we’ve established what the ketogenic diet is, what’s all the fuss about the Atkins Diet? The Atkins Diet began a media storm in the early 2000s, prompting men and women alike to follow its low carb regime for supposedly effortless fat loss and better health. The diet was proposed by Dr. Robert Coleman Atkins, an American physician and cardiologist.. In 1963, he discovered that reducing carbohydrate intake triggered weight loss without significant hunger, and he went on to publish his findings and diet advice in the now famous book Dr. Atkins’ Diet Revolution. The standard Atkins diet called Atkins 20, which limits more carbs and is designed for people with more than 40 pounds to lose. A new liberal version called Atkins 40, which allows more carbs and is designed for people with less than 40 pounds to lose. The Atkins Diet is one of the most famous “fast track” diets which claims you can lose fat quickly by eating as much protein and fat as you want while avoiding high-carb foods. The diet claims to have been proven in over 80 clinical studies. Atkins delivers on its weight loss claims because its low carb approach makes your body switch to fat-burning mode, so you experience accelerated fat loss. Phase 1: Extremely low carb (20-25g carbs/daily). Kickstarts weight loss because the body enters fat-burning mode. Note the daily carbs are the same as in a ketogenic diet. Phase 2: Moderate carbs (25-50g carbs/daily). Here people find out how many carbs they can tolerate while losing weight. This carb limit means some people will switch back to burning glucose. Phase 3: Liberal carbs (50-80g carbs/daily). This is meant to stop weight loss as you’re reaching your “ideal” weight. At this level of carbs, most people are burning glucose. Phase 4: Abundant carbs (80-100g carbs/daily). This is a maintenance stage. As you can see, the steady increase in carbs means you’re only on fat-burning mode for a short period of time and then maintain your goal weight with carbs. There are two problems with the Atkins diet: the phase approach and the food philosophy. The Atkins Diet is a short-term weight loss effort, not a lifestyle, so your chances of making long-lasting changes are slim. The steady re-introduction of carbs after an accelerated weight loss period increases the likelihood of gaining your weight back. This approach also emphasizes weight loss over other measures of health. The Atkins Diet also fell out of popularity after reports that many people were getting sick, gaining weight over the long term, or increasing their blood lipid profile. There was a heavy encouragement on the Atkins Diet that you could eat whatever you wanted and in whatever amount as long as it wasn’t carbohydrates. This lead to people overeating massive amounts of low-quality food, which lead to health problems. Since then, they’ve updated their guidelines to prohibit processed foods. Keto is a lifestyle that changes your metabolic fuel and has many health benefits including –but not limited to– weight loss, while Atkins is mainly a short-term weight loss plan. The Atkins diet is similar to the Keto diet only during the induction phase, where the dieter follows similar nutrient ratios as in the ketogenic diet. This induction phase on Atkins sets carb intake at roughly 20-25 grams per day, which triggers fat burning in the body instead of using glycogen (glucose stores) for energy. On a ketogenic diet, someone who eats 2,500 calories per day would eat around 30g of carbs. At this point, the effects between the diets are similar. Not so coincidentally, this is the phase in which people experience the most weight loss on Atkins. However, after this first stage, the diets begin to differ. While the macros on the keto diet always stay the same, Atkins allows dieters to introduce more carbohydrates (albeit still a very limited quantity) once the initial phase is over. In phases 2, 3 and 4 people go from 25 g to 100g of carbs a day, which puts them into glucose-burning mode. Another caveat of the Atkins diet is it doesn’t emphasize fat, like keto does. On the ketogenic diet, most of your daily calories should come from fat (up to 80%) so you can produce ketones. On Atkins, it’s not important whether you eat more protein or fat. The initial weight loss results for those on Atkins are real, but they aren’t likely to last. Those on the ketogenic diet can reap the weight loss and health benefits of running on ketones indefinitely and are more likely to keep the weight off. Keto vs Atkins – Which is Better? At face value, the keto diet and Atkins seem to be pretty similar, since they both focus on low carb — and that’s where people get confused. But as you now know, there are big differences in approach and outcomes from each. The ketogenic diet is a precise way of eating that changes your metabolism and the fuel your body uses for energy. Although it requires you to track food and ketone levels, you have access to supplements that make ketosis easier to achieve and maintain, such as exogenous ketones and MCT oil. While the Atkins diet is easy to follow, it falls short both on weight loss and health benefits. when compared to the more effective ketogenic diet. 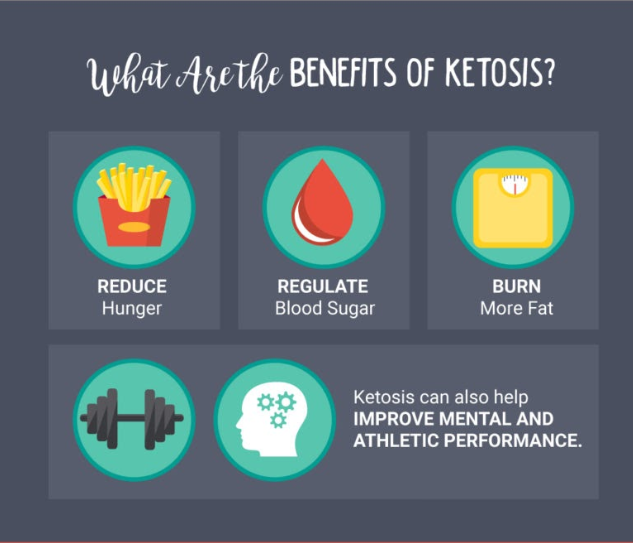 So, if you’re wondering whether to hop on keto or Atkins, it’s pretty clear that ketosis offers long-term health benefits that include and go beyond fast and effective weight loss. I have been on a Ketosis diet for 2 1/2 weeks and am feeling great but when I tell people they said it sounds like a Atkins diet. This article is great on explaining the differences. I feel great and hope other people try it. I did the Atkins diet years ago lost a lot of weight. I like the idea of the ketone diets it sounds healthier. Being 54 i need healthier.I know all about ketosis everything I went to the doctor he’d tell me your in ketosis. But I like quick meals with few ingredients. All the recipies I’ve seen for keto are really involved. Do you have a quick meal guide. I prepare all my own meals I don’t like prospered foods. Thank you to whoever shared this information. There are people with Epilepsy who are still in the dark, have tried everything they could think of with no success. I had to leave work this morning due to having fits. Desperate I looked up ‘diet for Epilepsy’, then by God’s grace, The Ketogenic diet sprung up on my screen. It sounds fantastic and I plan to start it immediately. All medication does is give side-effects and in a lot of cases make someone worse. Hi Yolanda. Couldn’t agree more with the quick meals with few ingredients. We have recipes coming out every other day or so now, and blog posts about really good grocery lists posted. 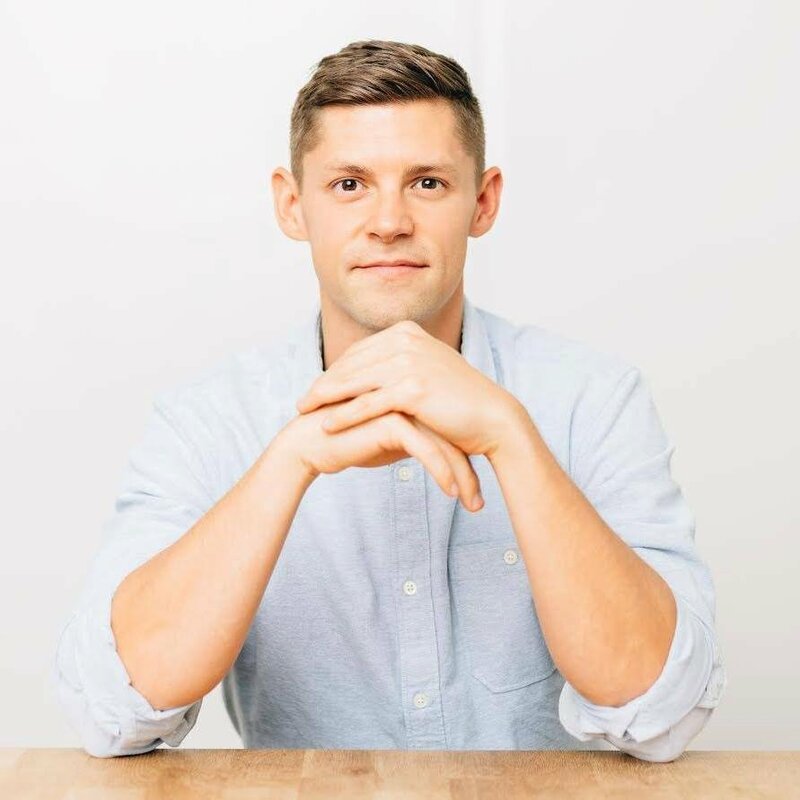 Dr. Gustin also has some keto meal guided on his site http://www.dranthonygustin.com. I hope these help! 🙂 Tell us your results from keto v. Atkins too! Hi Eugene thank you for your note. It can be pretty tough to explain the differences in conversation, but boy are the results different (at least in our experience). Glad you feel great. Keep rockin’ it! Jess, good luck from all of us. We hope it changes your life. We have family members who have dealt with similar struggles without knowing the ketogenic diet existed and offered a solution. Please stay in touch. Whoah, this weblog is wonderful I really like studying your articles. Keep up the good work! You realize, lots of people are looking round for this information, you can help them greatly. Loved this article. I too lost about 30 lbs on the Atkins Diet many, many years ago and gained it all back. I am now looking to try this Ketogenic Diet and am wondering what supplements you are talking about that can help you get into ketosis. Do you have to count calories on a keto diet? I worry about heart and artery health with such high fat. Traditional “healthy” diets include lots of veg and some fruits. What about vitamins, if one cuts out most vegetables and fruits, both of which are carbs? Totally up to you! It depends on your goals and how targeted you want to be with fat loss or mass gain or maintaining your current body composition. Great question Sally. With cutting out starchy vegetables and most fruits, it can be a slippery slope to a low vitamin unhealthy ketogenic diet. We stress doing quality keto by sourcing the best most nutritious types of fats and proteins, while also including leafy veggies and low sugar berries. It’s very possible to have an incredibly nutritious ketogenic diet. With your concern about the high-fat nature of keto, we have all been there and shared that same concern. Hi, my wife and I have been on the keto diet for 29 days. She has lost 17 lbs and I have lost 22 lbs. We feel great. The main thing is to meal plan, it makes it alot easier. I’m at my goal weight but would like to add muscle. What is the best way to do this? Should I now change my macros percentages. And what are the supplements you had mentioned? Love the blog! The supplements are exogenous ketones, they are awesome for real pre-workout energy on the ketogenic diet. Hope they are great for you and your wife! Hi there. I have been ready to start the Atkins diet before coming upon your page, here. I do see the differences between the two and would love to get on the diet and lose weight to keep it off forever. I would like to build more muscle as well through this process and be healthy. How do I know how much protein to consume on a daily basis to be enough, but not too much? most healthy approach to low carb/ high fat eating is probably that of Ken Rosedale, but he seems to be largely overlooked. I too have epilepsy (10+ years). I was browsing a website one day for different methods of controlling it besides medicine and I had no idea that diet could play into it. I’ve been slowly changing my eating habits to go keto with my mom. It’s been about 2 weeks now. We did the Atkins about 10 years ago and lost a lot of weight, but gained it back not long after stopping it (I don’t remember why). I told her keto is like the Atkins diet and she basically said “say no more” and was both feet in. I just hope she doesn’t think it IS the Atkins diet where you can eat anything you want as long as it’s not carbs. Although atkins is a low carb diet, the start or induction, was set up to induce ketogenic state, by keeping the carbs really low, (25 grams or less), then go through different stages, where you could add a small amount of carbs each week, provided you were still losing weight. If you stopped losing weight then you, dropped your carbs back down by 5 grams at a time, until such time as you started losing weight again. You did not have to be in a nutritionaly ketogenic state, but pobably were, as your carbs were so low. Robert Atkins also advised that most of your calories should come from fat, he encouraged eating fatty cuts of meat, with a couple of cups of salad, and a cup of vegetables, at the most, also stay away from most dairy as they contain too many carbs, but a small amount of fatty cheeses were allowed, so long as you could tolerate them. read his early book. It is all there, people just use, ignorance to excuse their eating atkin bars all day long, then trying to get away with other fake foods. Eat low carb (25 grams of carbs or less) depending on your bodies tolerance to carbs, fill up on fat, and make sure you get enough protein to keep your muscle. make your carbs vegetables (mostly green). you will lose fat weight very easily. Don’t eat fake foods! I was wondering is there an app for the phone that would help me count carbs? I was also wondering is this diet hard on the kidney and liver functions? KetoDietApp and MyFitnessPal are our favorite. Definitely do your research and speak with a physician but a ketogenic diet tends to be less demanding on the kidney and liver. I have been eating a ketogenic diet for about 5 weeks now (I have had a slip up but nothing crazy) and I love the results I’m getting. I do work out about 4-5 times a week and lost 15 pounds! I meal prep every week to be sure I’m eating properly and when I go out to eat with friends, I am very mindful and haven’t had trouble finding options in restaurants. Just about every place can give you some protein and a side salad with dressing. I am reading this greazt pkst to improve my know-how. I am trying to work with a diet to help with diabetes. It seems everyone has an opinion- no fat, low carbs, no legumes, high fiber, lowfat, low calorie sweetners, eat more smaller meals throughout the day, no eating between meals…etc. From Atkins to Bernard to Fuhrman, it seems that basically cutting out carbs is the way to go. However, the first thing I was told when diagnosed with diabetes was to stay away from Atkins because it will shut down your kidneys. Then when the meds were not working well, I was told that I was not eating enough carbs for the meds to work. This is from the endocrinologist who’s main solution is to prescribe medication. Is there a perfect meal plan that is specifically targeted for the diabetic without endangering the kidneys? Any suggestions would be appreciated. ATKINS: In the first 2 weeks = 20 gr carbs. After that you can increase little by little. Protein: between 100 and 200g of protein containing foods per meal (that’s really not unlimited amounts)… If the author of this article does not have time to read the book than just go to Atkins website… they explain everything there. I hate it when I read stuff that disinform… So please, do your research and write it again. I get that you are a Ketogenic diet fan… but that doesn’t mean you can give wrong information about other diets just to make a point. Have a great day everybody! You have to cut calories to lose weight. I tried ketosis without cutting calories and I didn’t lose a pound. Points well made. I’d like to add that the “Original” books written by Dr. Atkins did NOT include all the processed crap the company is now selling. I used Atkins to lose 30 lbs I have maintained that loss and all the LCHF benefits for 4 years now. This reads more like an infomercial than a fact based comparison. Thanks for this article. I tried Atkins when it was a new fad, but had no success. Partly due to impatience on my part, and partly due to still being hungry. I think I just wasn’t eating enough. I’m about to turn 35 and have been on a mostly vegan diet for the past 6 months with pretty intense workouts. I was doing great, but just last month, I noticed that I was gaining weight instead of losing it. Food intake was the same, but beefed up my workouts. I am carb sensitive so, I was looking to try Atkins again, but then found your article and now I’m interested in exploring a ketone based diet. You mentioned supplements. Can you provide more info? I’m pretty Leary on taking supplements because I have hypothyroidism and take medication. As it is, I have a hard time keeping my metabolism in check and I’m afraid I might throw myself off with supplements, but I may just be misinformed. Your guidance is greatly appreciated! As far as The author writing for atkins possible weight gain bounce back in long term … any diet is the same way.. the keto diet is almost exactly the same. If you read the book, there are limits on the foods you can eat.. it is not a free for all. Just another diet trying to be the “NEW” diet of the century using a different name. You probably need to step it up with intermittent fasting. Just eat lunch and dinner with plenty of fat. Skip all snacks and I mean all snacks. The extra fat will satiate you long enough to fast between meals. If you eat at noon and 6pm, then that is 18 hour fasts every day. Anything over 11 hours is really good for you. Your baseline insulin is too high and this is the only way to get you past the sticking point. I’m doing the ketogenic diet for almost 4 weeks, not eating anything more than 20 carbs a day, I bought the keto stripes to test for ketosis and I couldn’t get passed neg reading…I started taking the powered drink supplements for three days now and the stripes are only reading trace amounts.. the taste wasn’t bad but it did give me some bowel issues.. am I doing something wrong? I was hoping for a real comparison. Sadly this is not it. You have seriously misrepresented Atkins, so do I believe what you’ve presented about Keto? Back to do more research. Feeling like I’ve been up-sold. Sigh. Hi Steve, there is no perfect meal plan. Strive to eat a clean diet. You have to read labels. Avoid preservatives, color additives, toxic stabilizers, emulsifiers; processed refined foods such as white flour, sugar, breads and pastas. Eat foods with a short ingredient list. Avoid high fructose corn syrup, soda, foods not made by nature, etc. Eat whole grains-there is a seal , yellow and black that authenticates a whole grain. If your budget is limited, then make eggs, Kerri-gold butter, grass-fed/grass-finished meats, and dairy your target. Eat healthy fats in combination with lots of greens, vegetables, fruit. Observe portion sizes. Stay away from artificial sweeteners. It’s better to use small amounts of a natural sweetener,then adding more chemicals to your body. If you don’t have fluid restrictions, drink plenty of fresh water daily. You’re going to have to do research. You can download a list of of low-starch vegetables, and complex carbohydrates to round out your meals. Eat closest to nature and away from the food laboratory .The simplest medication is insulin. Your body makes insulin. The issue can be insulin resistance or your body is not making enough. Controlling you blood sugar will help protect your organs. Check blood sugars pre-meal and then two hours post-meal. Keep a log and work with your provider to help you with the correct amounts of insulin to cover your meals. Insulin is easy to use and safe. Diabetes takes work. It’s a life altering change but your life depends on it. I share your journey. Wishing you peace and health. Atkins as it is today is ketogenic. You can’t just cut out carbs and eat all you want of fat and protein. This articles does not reflect the Atkins of today. Most of the carbs you do eat need to come from veggies and berries. Then high fat and moderate protein. You can’t just wing it when doing any keto diet. Decades ago Atkins was way more permissive about quantities, but it’s been a long time since those days. I think this article does a disservice to Atkins followers. I’ve read this article and still don’t get the difference. If you stop eating Keto and eat regular food you’ll gain just like Atkins. To me, there is no clear cut difference. Or at least none that I can tell from this article. Also, you don’t 50 grahams of carbs on Atkins until you’re in the maintanece phase. I’ve been told that’s it’s different because of Keto says you should eat fresh foods. But, the original Atkins diet, before he died and they started packaging all that crap said you shouldn’t eat that stuff anyay. So, is there really a difference? I can’t see one. I’ve been on the Keto diet for 3 weeks now. I’m enjoying it it does seem similar to Atkins which I was on years ago. This seems more controlled and I’m not hungry or have the cravings as much. I hope when I weigh the end of the month. I will see a big difference. I agree Lou. Atkins sets you up for long time success but you do actually need to read the book! I have been on Atkins for 5 months with a total of 62 lbs lost. I feel great and look great but more importantly I have learned how foods effect my body and will forever be changed by this experience. It took me a few months to really have it down and knew how to be successful. It referring back to the book helped tremendously. I have nothing against Keto diet as I have never tried it. It this article seems very one sided. What do you think the differences are that aren’t being pointed out here? What do you feel like was misrepresented? Try to add in some MCT powdered form and this should help. Also take a look at how much protein you are eating currently. It’s basically the Atkins diet on a diet! I’m thinking the same thing — lots of changes but very little weight loss — it has been about a month and a half. I’m not convinced this is healthy for me. I’ve lost weight via other methods that seem more balanced. This one is taking SO long! It’s possible to gain weight, maintain weight, or lose weight on a ketogenic diet. “Keto” is just a metabolic pathway. Have you tried using a keto calculator to set your goals and tracking how much you are eating? contribute to the discussion. It’s triggered by the passion displayed in the post I browsed. I, too, am diabetic, and I understand and share your concerns. I’ve found that being strict but not “uber” strict has been helpful. For instance, I simply don’t count vegetable carbs (of course, I avoid corn, potatoes, carrots, beets, etc., very high carb veggies). I count fruit carbs (and not many of those). I’ve eliminated all grains. I try to stay under 30 net carbs, and most of those come from vegetables. I’ve been fairly successful, but it has been slower for me than a lot of people. Keep it up and find your balance. It will come. Thanks for finally talking about >The Ketogenic Diet Vs The Atkins Diet: Is Ketosis Better Than Atkins? – Perfect Keto <Loved it! How much weight have you lost so far? Also how do I get started on this. How do you really get into Ketosis! Not sure if I’m”doing it wrong” ? I completely agree. Be knowledgeable on the subject you are informing others about. Can anybody please explain to me in simple terms: if I already have stored body fat to burn, how does eating more “high fat” help ?. Im soooo confused about this fact and have seen soooo many differing answers that I don’t know what to do anymore. Wont the newly eaten fat have to be used up first before my stored fat starts to be used up ??? I think the old Atkins diet gave the perception of unlimited protein but we know that would be dangerous. One diet is high fat which reduces insulin and the other is high protein. That is the biggest difference. One needs to consider how we ate before we settled into an agrarian lifestyle. We were herbivores and carnivores and the latter we ate intermittently with periods of enforced fasting while we looked for food. In summer when the plants produced fruit which is in fact just a seed (nothing like the modern fruit which is loaded with sugars) we sought these out as they were sweet. This had a reason – seed dispersal and to put on fat for the colder winter when the food supply was more limited. Also, if we lived near a river fish supplemented our diets and if we lived on the coast, fish and other seafood supplemented our diets once again. Going hungry stimulated our brains to work out how to catch food. The best part of the animal was the inner parts where the fat and vitamins were. Fat would have been our primary fuel. There were no bakeries around to give us carbs. Its probable that the meat was thrown to the dogs, which is why they evolved to eat meat. So, off the carbs, plenty of above ground vegetables, lots of fat, some protein and intermittent fasting is the way to go, with the occasional pig out. I want to try the keto diet, but can someone please tell me the difference between the proteins and the fat as far as eating? Measured with blood ketone meter. What ever works for you, do it, if it’s not working tweak it till it does! Hey Donna, keto is similar to atkins but also different in terms of ratios of fat and protein. It’s a low-carb, moderate protein, high fat diet. I would definitely recommend checking out the starter guide here: https://www.perfectketo.com/guide/ultimate-start-guide-ketogenic-diet/ to get a better idea of how it works. Hi, I love the post. Thanks for sharing.Very inspiring! so i have not done any diet program but would like to try the keto diet. i am working out and lifting weights so with this diet will i have the energy to do it.i read it gives u nausea and all. The difference is in the fat vs protein. Keto is higher fat and less protein than Atkins. Basically eating more avacado and oils maybe. I did the Adkins diet about 6 years ago and did realize significant weight loss. I just started back on Adkins and have found the meal plans to have evolved in a positive way. You are NOT encouraged to consume all the fat and protein you want. Quite the opposite. The Adkins meal plans I am following have very specific weights and amounts of fats, proteins and carbs that are suggested and recommended. I was never into their processed snacks and meals. It seems healthier to make your own out of real food. After researching both diets, I truly don’t see a heck of a lot of difference between the two. Pick whichever one works for you.!! “Eat whole grains….” Grain are inflammatory for many humans. “Eat healthy fats in combination with lots of greens, vegetables, fruit.” Eat non-root, non-starchy (above ground) leafy vegetables. Eat the lower sugar content berries and stay away from most fruits. Our bodies can break down fat to use as energy when no carbohydrate is available. Eating sugar (and not fat) makes us fat via insulin. Keto folks need to stress the requirement for ‘healthy fats’: grass fed / ocean fed animal fats, olive oil, coconut oil, and avocado oil. There are different ‘ketogenic’ diets; none should be considered ‘moderate’ protein. The easiest keto diet is simply 2/3 healthy fats and 1/3 equally divided between protein and carbs. Thank you. Let’s begin to read more. With love. If you go back to your old way of eating you will also gain back any weight you will lose on Keto. Pro tip: Atkins IS a keto diet. I’m on keto, never felt better before! longer than the 90s. 1972, in fact. It’s crazy that your doctor didn’t recommend changing your diet. The fact that low-carb helps with epilepsy has been known for YEARS!!! I am familiar with the Atkins diet and the Ketogenic system but I didn’t have to do either one to lose my weight at its highest mark of 380. I have a friend who started an online High Protein, Low Carb Food Exchange diet for which I lost quite a bit of weight of 200 pounds which means I am now at 180 pounds and maintaining it. I still have another 25-30 pounds more to go but, boy I feel so great about it and am wearing 3 sizes less in my clothes. You just need to find what will work for you and I found my niche. I believe this confusion comes from the fact that the original Atkins diet came out in the seventies and he did promote eating all the meat and fats you wanted. When his book was reprinted in the nineties, he had modified and changed the diet a bit because he knew more by then. So, everyone is kinda right. Your blog is really helpful and quite informative as in this you clearly told about keto genic diet and atkins diet. I’ve been on the Keto diet for 5 weeks now. I’m enjoying it it does seem similar to Atkins. This seems more controlled and I’m not hungry or have the cravings as much. I hope when I weigh the end of the month. I will see a big difference. Watch out for sugar alcohols. They will cause gastric distress. A lot of Atkins foods and candies have those. Its not worth it. Learn to like stevia. The comment about Atkin’s being a short term diet is ridiculous. I have been on it for 20 years. Many distance runners are using Atkin’s to help train their bodies to us fat for fuel which by the way is the desire of any marathon runner. The “Keto” diet is the same darn thing. Someone just wrapped Atkin’s in a different package to make a buck. I have had great success in the past on the Atkins diet and kept the weight off for several years, only backsliding during pregnancies when I had an “eating for two” thing going on in my head. I recently picked up one of Dr. Atkins’ books from the 90s discussing the science of the Atkins diet, which discusses ketosis and the value of determining whether you are in it or not and adjusting carb intake appropriately. I am ending my first week of the induction phase and feeling great. I thought the article was a bit one-sided, reinforced by the fact that the author writes for “Perfect Keto.” I’m sure there are benefits to Keto, but I think those of Atkins are misrepresented. I would like to know how this affects your gallbladder. I now have stones due to years and years of yo-yo dieting, including Atkins (which was the most successful for me). Is it going to make more gallstones in my gallbladder? Last thing I need is another surgery. Thanks!